Caption slip reads: "Photographer: Snow. Date: 1957-11-19. Reporter: White. Assignment: Water hearing. 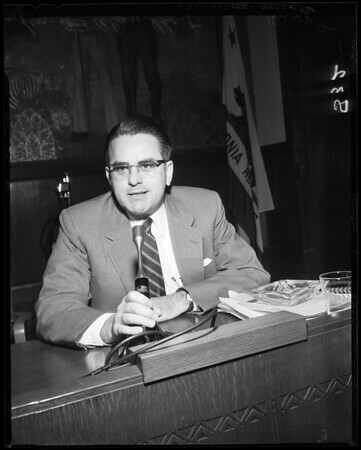 31-32: Sen. Alan Short, of Stockton".